Looking for supplies for your hamster, guinea pig, gerbil or other small animal? If you need supplies for your furry friend, we can provide food, cages, houses, toys, supplements, treats, bedding, litter and litter pans. We can also special order in all types of products and would be happy to do so if you have something special in mind! 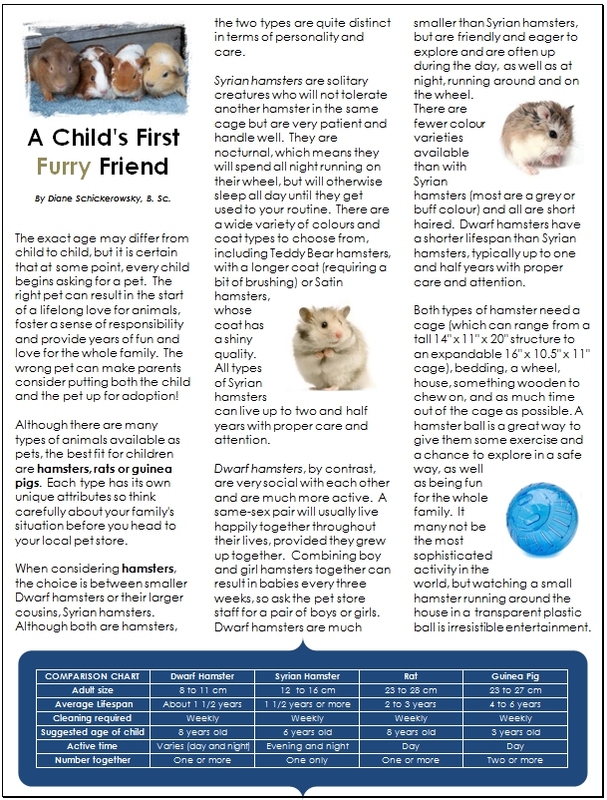 If you are trying to decide on what type of small animal might be suitable for you, click on the image below to read our guide to choosing a small animal that is right for you or your child!